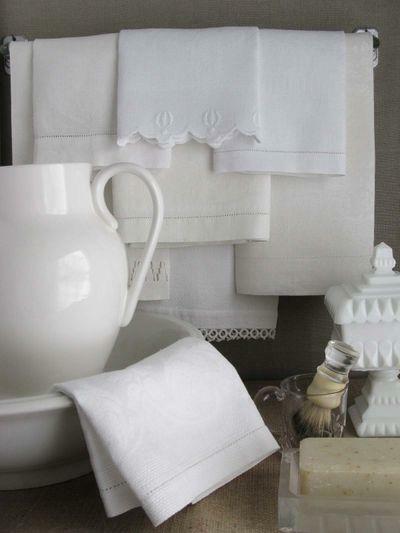 White linens make such a beautiful statement when paired with antique and vintage furniture. Beautiful with a brass bed. or with a pretty white wicker headboard. as part of a charming display. slipcovers and accents in the living room. 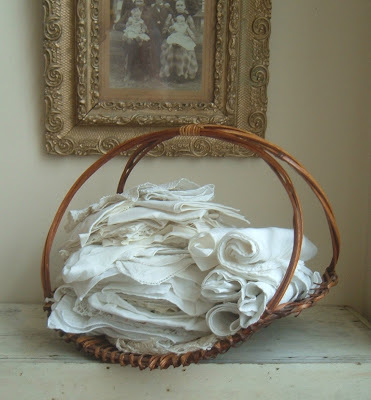 I always have overflowing baskets of white vintage linens that I use to add touches to my home, to create pillows, and to share in my shop. Thanks for the inspiration today. Beautiful photos! Soooo pretty! I love that wainscotted bathroom. I am planning to cover my dismal tile with bead board. I WISH my home looked like this but it usually looks like Toys-R-Us exploded in here! Just lovely photo! White linens are enchanting! 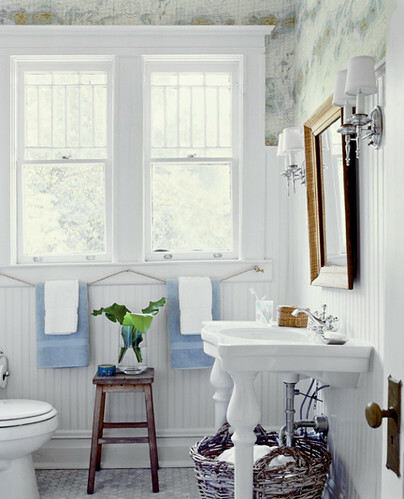 Gorgeous whites - add such freshness to a room's decor - love your choices! 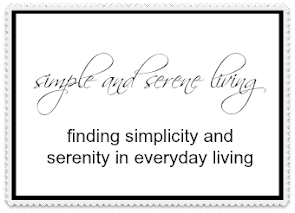 Hope you're having a marvelous day - so glad to now follow you too! Beautiful! Love that fresh, clean, crisp look. Beautiful, beautiful whites! The bathroom is gorgeous. I use white linens on our bed, but the bedspread itself has to be with color, for practicality's sake! What a gorgeous blog post. You have inspired me to redo a few things around my home. Thank you. Love the living room. Thanks for the visit and follow, following you back.